Send Message to Congress - No TPP! The Trans-Pacific Partnership (TPP) is the largest--and worst--trade deal you've never heard of and Republicans in Congress want to work with the Obama administration to "fast track" its passage. While waiting for my train in the Boston station I ran into Green Party presidential candidate Jill Stein who is on her way to Baltimore to join the 'Million Moms March'. We talked briefly about the recent surge on the left (even though we still need alot more help) and the presidential announcement by Sen. Bernie Sanders (I-VT). In the end we both agreed that the real question is once Sanders is defeated by Hillary (the choice of the oligarchy) in the Democratic Party primaries what will progressive voters do then? Are they going to vote for the corporate puppet Clinton or move on and join the growing alternative political movement that is about creating real opposition to the money-dominated political system that currently exists? I began my political life as a Young Republican for Nixon in 1968 and then voted for the anti-Vietnam war candidate George McGovern in the 1972 presidential election while still in the Air Force. I quit voting for the Democrats years ago and can say with some pride that I never voted for Bill Clinton or Obama. I voted for Ralph Nader twice, then Cynthia McKinney, and Jill Stein last time around. Those who are itching to support a woman for president can still do so by pulling the lever for Stein in the next election. I find it hard to argue with those who maintain that voting is a waste of time - especially after recent cheating on elections during the Bush years. I just don't like the idea of giving up my right to vote - there have been times when I've gone to the polls on election day and handed in a blank ballot because I couldn't stomach any of the names on the lineup card. But in the end I do fully agree that elections are only one very small part of citizenship in any society. What really counts is what you do the rest of the time in between elections. As is often chanted during street protests and actions of non-violent civil resistance to corrupt corporate power - "This is what democracy looks like!" I am certain the UNAC conference will be a great event. Many of the most dedicated and effective organizers across the nation will be there - a real cross section of age, color, gender, and political strategy. All of us will likely agree that the time has come for a real revolution in America - something that won't just come from the voting booth. Three hundred American soldiers have arrived in western Ukraine. In the latest dispatch, Vice News traveled there to find out what their mission is. This Vice News report raises some questions for me. They are doing alot of reporting from Ukraine and many of their reports veer toward support of the US-NATO war project. First off, how did Vice News get access to this highly scripted event that included the US Ambassador to Ukraine and a speech by president (I use that word reluctantly) Poroshenko? Lately in Ukraine the puppet government has been killing or expelling any real journalists that dare tell the truth about what is actually going on. I come away from the video with the clear sense that most of the American GI's could probably not find Ukraine on a world map and know virtually nothing about the civil war that was started by the US-NATO war machine. But if they end up being there awhile they might learn more than they had ever bargained for. Who writes the history? Who rules the world? Friedman: "We get to invade people and they don't get to invade us"
Speech at the Chicago Council on Global Affairs on Feb 3rd, 2015 by Dr. George Friedman, founder and CEO of Stratfor, on US policy in Eurasia. Here is one more arrogant voice of the ruling corporate oligarchy. This is what the world sees and hears from the US - no wonder America is so despised. Watch the man on the left as Friedman reveals his ugly and provocative 'truths'.... does he wonder for a moment if he is standing in the right place.... or is he an aspiring oligarchic functionary and just learning not to flinch? Noam Chomsky and Subrata Ghosroy who are both with MIT in Cambridge, Massachusetts. Their topic is the Pentagon funding of university research. Noam needs no introduction and Subrata is an expert on space technology issues. 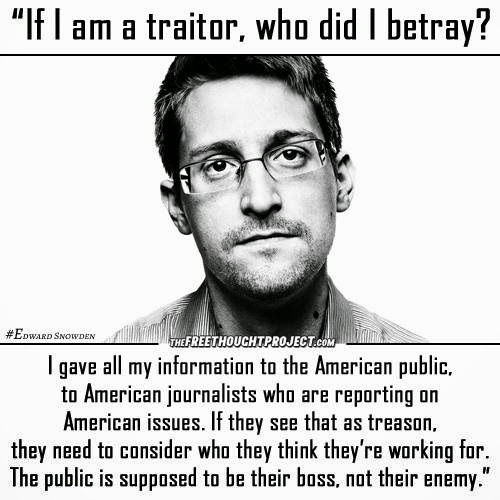 Subrata used to work for the US Congress as a staffer but left after studying the corruption inside the 'missile defense' testing program which he was commissioned to investigate and report on but the government was unwilling to do anything about his important findings. Subrata will be speaking at the Global Network's 23rd annual space organizing conference in Kyoto, Japan at the end of July. I was gone from home all day getting the car serviced, going to my chiropractor, and then attended our local PeaceWorks planning meeting in Brunswick til 5:00 pm. 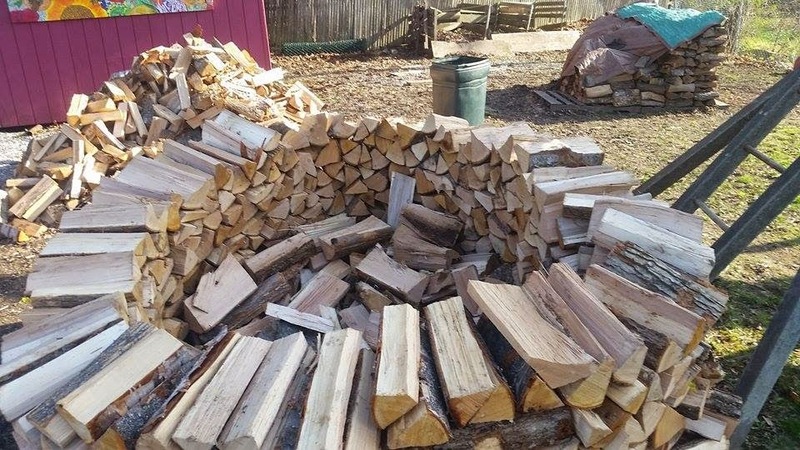 Then when I got home I worked for two hours on my round woodpile. It's a real challenge - the wood is supposed to lean toward the middle but as I go higher up it wants to lean outward. Not a good sign. The idea is to fill the center with odd shaped pieces that help hold it up as it gets taller. 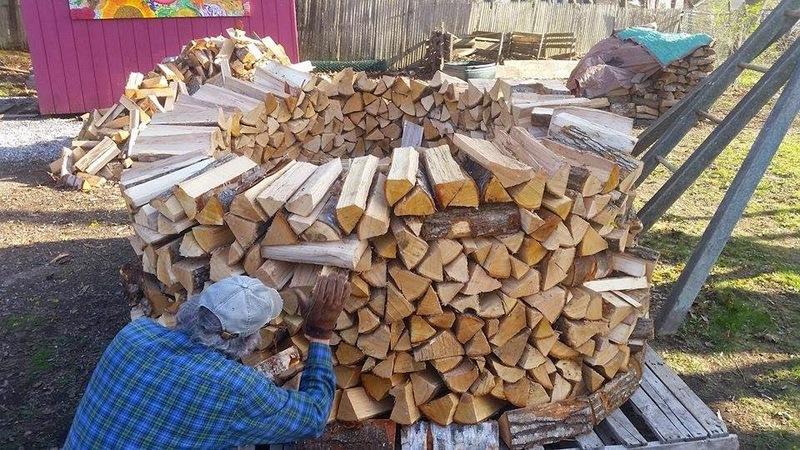 I like stacking wood - its one thing I can work on and see some real progress unlike much of my political work. Tonight I'm going to watch a baseball game and rest my aching back. Yet it seems these calls for a peaceful solution to the crisis are not only falling on deaf ears, but are also purposefully being undermined, in Washington. Depressingly, there seemed to be little daylight between McCain and the committee’s ranking member, Senator Jack Reed (D-RI). Both he and McCain have called on President Obama to “provide defense lethal assistance” to Ukraine. Only Senators Angus King (I-ME) and Joe Manchin (D-WV) expressed any skepticism towards the idea of sending lethal aid to Ukraine. 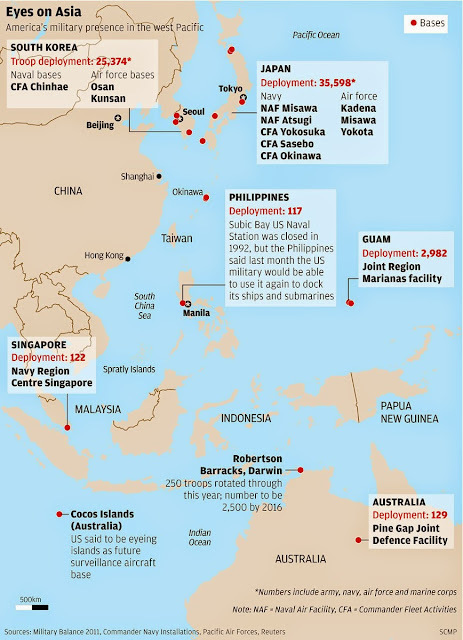 The situation that pertains in the Washington of 2015, is in stark contrast to the previous Cold War. Today, it would seem, Democrats and Republicans are engaged in a contest of who can ‘out-hawk’ the other on Russia. McCain and Reed set the tone of Tuesday’s hearing by striking a martial note at the outset, and the witnesses, representing the Council of Foreign Relations, the Fletcher School of Diplomacy and the Atlantic Council, were all too happy to pick up where the Senators left off. Most alarmingly, however, was Brzezinski’s recommendation to grant the NATO supreme allied commander the “authorities necessary to deploy in real time against provocative Russian military operations,” thereby taking the decision to go to war with a nuclear armed power out of the hands of the commander in chief and transferring it to the NATO commander in Brussels. Two days later, as it happened, it was that very NATO commander’s turn before the Armed Services Committee. US Air Force Gen. Philip Breedlove, who, according to a recent article in Der Spiegel is viewed by many European diplomats as a serial exaggerator, told the committee that NATO’s principle concern is a “revanchist Russia” which in his view is a “global, not regional” threat. Since, in his view, the current lull in the fighting in eastern Ukraine is only allowing Russia to “prepare for another offensive” it would “not make sense to take any of our own options off the table.” Indeed, later on in the hearing, in response to a question from Senator McCain, the general said, “I support the use, um, [quickly correcting himself] the consideration, of offensive military aid …” His referencing of “offensive” weapons raised an eyebrow from Senator Reed who quickly interjected to ask if the general had misspoken. Breedlove confirmed that he had not. Breedlove’s testimony also inadvertently helped confirm the basis of one of Russia’s principal objections to American policy: that it is being hedged in on all sides by the American military. 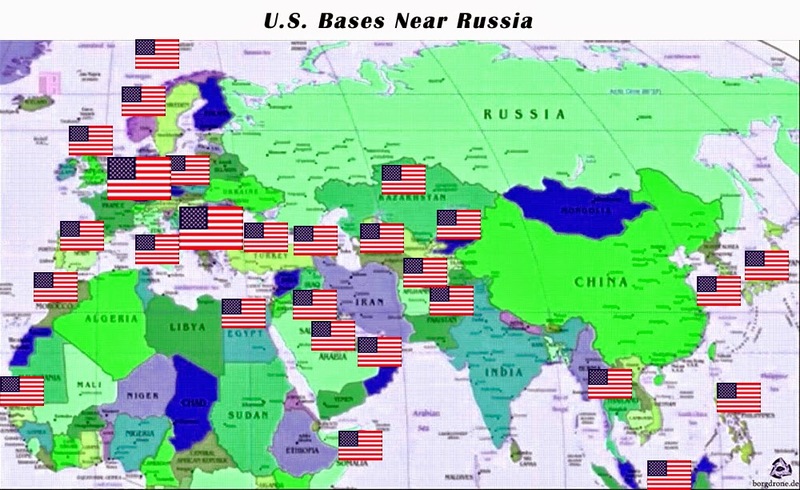 Breedlove testified about what he called a Russia Strategic Initiative which seeks to coordinate the various combatant commands which border Russia: CENTCOM (US Central Command); EUCOM (US European Command); USNORTHCOM (US Northern Command); USPACOM (US Pacific Command), the better to respond to a future Russian offensive. And so, it is hard, given the tenor of the policy discussion on Capitol Hill over the past week, to escape the conclusion that President Obama is under intense pressure—not only from both political parties, but also, disturbingly, from the NATO supreme allied commander—to wade ever deeper into the Ukrainian morass. A former American Marine who fought in Iraq acknowledges "we" are now fighting on behalf of the US-NATO sponsored war on the Russian border. Vermont senator and self-described democratic socialist Bernie Sanders has declared a run for president and the Democratic Party nomination against corporate captive Hillary Clinton. Should be an interesting race as he appears to be carrying the Occupy movement message about the 99% into the corporate dominated electoral fray. There are some legitimate concerns about Sanders positions on Israel and wanting to bring the F-35 boondoggle to Vermont. I've long maintained that when the black community surges, as they are now doing after the cop killings in Ferguson, New York City and Baltimore, they help open the door for other progressive movements to slip into the light. I can hear people sensing that things are moving again - the ebb and flow of movements is part of nature - they come and go. The tide has been out for a long time and just might be on its way back in again. We each can help push things along in our own ways. It's the right time to step on the pedal. Politics is Dead - What Comes Next? Thousands rally in Kiev, Ukraine commemorating victims of Odessa massacre last year and those recently 'eliminated' by the corrupt 'government' in Kiev. The US-NATO backed Kiev regime reported arrested the organizers of this event after it was over. National Veterans for Peace (VFP) activist/leader Tarak Kauff was in Maine this past week and came to our VFP meeting in Augusta. I also got to spend time with him while in New York City last weekend. It is always fun to be with Tarak and we did some brainstorming about organizing the national VFP project called 'Peace at Home, Peace Abroad'. He taught MB and I a new card game that we'll be playing in the days ahead. He is not in the photo above because he and another person were taking photos of us. 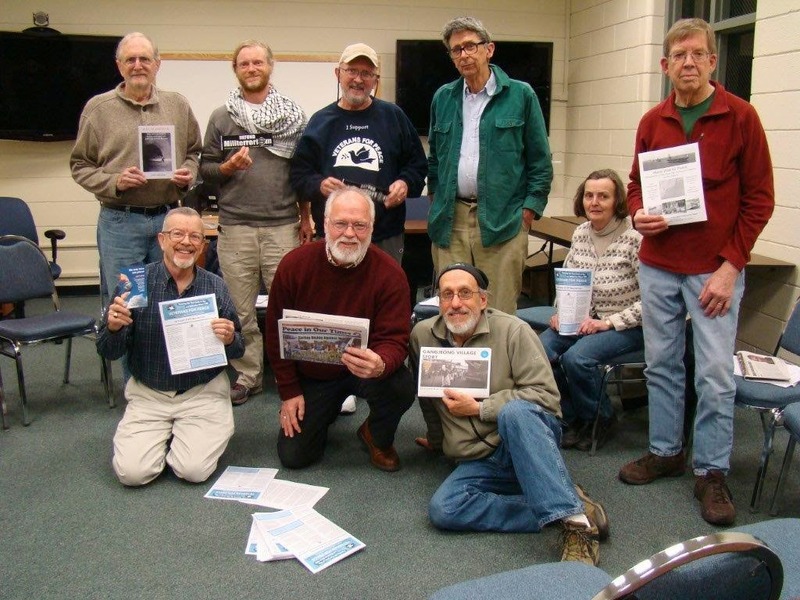 Also visiting at the same time was Jason Rawn (in top photo back row, 2nd from left) who just returned from a six-week peace walk that started on the west coast and ended up in New York City at the Peace & Planet protest to the United Nations last Sunday. Jason is a key organizer in our next Maine Peace Walk (tentative date October 9-22) that will start in Ellsworth and end up in Portsmouth, New Hampshire. The theme will be the militarization of the seas and our route will be straight down US 1 along the coast. Jason and I will drive the walk route the week after next to start mapping it all out. (Our next walk planning committee meeting will be here in Bath on May 23. Starts at noon with a pot luck lunch. All are invited.) Jason is also going with us to Kyoto, Japan for the Global Network's 23rd annual space organizing conference at the end of July. MB and I are heading south today to Biddeford, Maine to listen to friend Richard Rhames play with his band at the Veterans Alliance. He told me they might have to play more country than rock since this is a more conservative crowd. I've been wanting to see brother Rhames in action for a long time and finally get the chance. He was my last interview on my TV show This Issue. Richard plays guitar and is the lead singer. Going to be a real treat. We had two cords of green wood delivered last week and I need to start stacking it soon. 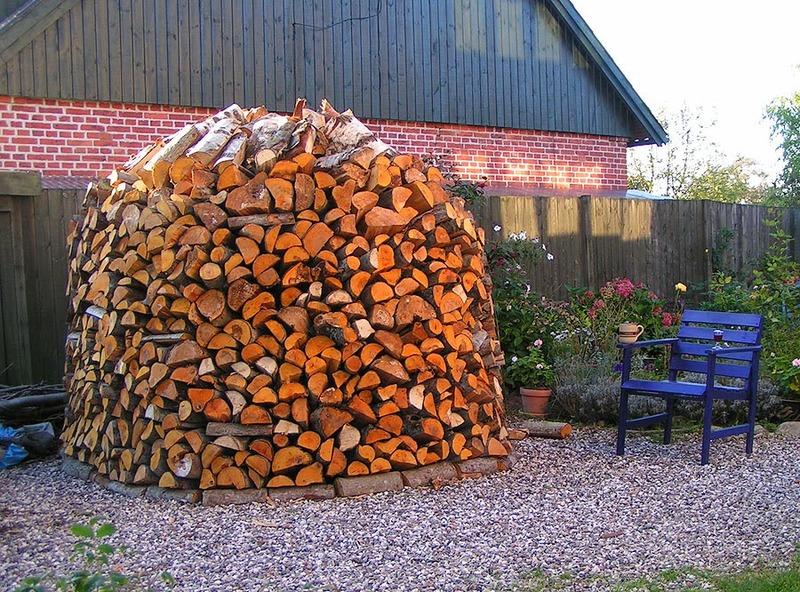 Yesterday I spent alot of time on YouTube learning about round wood piles - in German Holz Hausen - which are really beautiful and take up alot less space. So this is my goal and we'll see how well it turns out.